Myra Giberovitch photo by Irwin Block. Syrian refugees arriving in Montreal face a myriad of challenges in adapting to their new homes. Though their plight and resultant trauma is not comparable, what is to be learned from the experiences faced by Holocaust survivors who came here in the late 1940s? 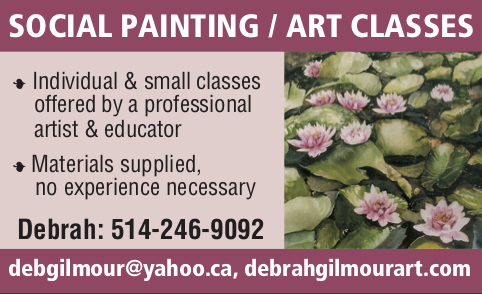 We put the question to Myra Giberovitch, adjunct teaching professor at McGill University’s School of Social Work and field placement supervisor, who in 1989 launched the first outreach program for Montreal survivors. She is the daughter of survivors. Her father was among the few who did not perish in the infamous death march in January 1945 from the Auschwitz-Birkenau concentration and death camp, when the Germans, fleeing the Red Army, forced mobile inmates to join them. Her mother was liberated in a German labour camp in Czechoslovakia. Childhood friends, they reconnected and married in a displaced persons camp in Schwandorf, Germany, where Giberovitch was born. 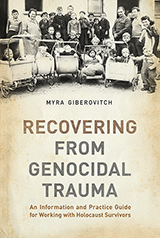 In her research and work with Holocaust survivors, Giberovitch learned that the Jewish and wider community did not provide social and psychological support to people who had suffered horrific experiences when they began arriving in Montreal in the late 1940s. “They were told to move on with their lives, to forget about what happened to them. There were suspicions about them— what did you do in order to survive? How come you survived when so many others didn’t? Syrian refugees, many of whom are survivors of physical violence, separation, and displacement, are in a position to benefit from what has been learned in the last few decades about post-traumatic stress disorder. “The issue of the impact of traumatic experiences only came to public awareness in 1980, with the Vietnam War veterans, when the condition was first recognized as a standard medical disorder,” Giberovitch notes. People who are uprooted and displaced by war, such as the Syrians, normally are highly motivated to put down new roots. Immediate needs, such as housing, employment, learning the language, schools for children, accessing health care and other essential services will occupy most of a refugee’s energies in the first years. The impact of traumatic experiences can emerge years later, at which point some of the refugees may need psychological and/or pharmacological help, if they accept it. “A lot of people coming from different cultures are not used to people outside the family helping them, so you can’t assume that because you set up services, people who need them will use them.” Refugees may well want to turn to services that already exist in the community that reflect their ethno-cultural background. In spite of a well-organized Jewish community, it was not until 1998 that specific and focused services for Holocaust survivors were established. Many survivors wanted a single central office that could help clarify issues connected with restitution, pensions, and concerns linked to their autonomy and general coping. Some complained of loneliness: many of their friends had died and often children had left Montreal. Survivors at the Cummings Centre in Montreal and its Drop-In Centre. As she notes in her book, Recovering form Genocidal Trauma: An Information and Practice Guide for Working with Holocaust Survivors (University of Toronto Press, 343 pages), for some survivors the pain lingers and recovery is partial. 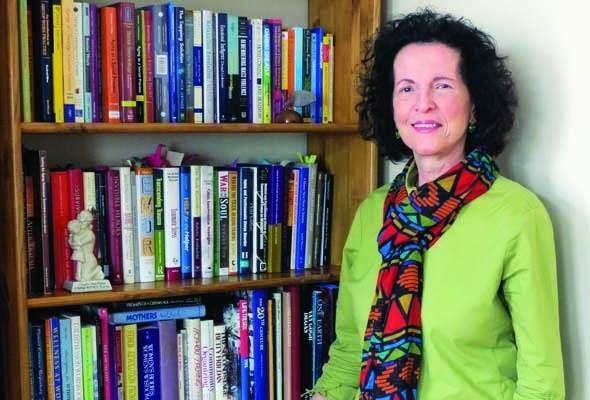 2 Comments on "Outreach to refugees: Social worker Myra Giberovitch offers insights"
Refugees may have lost their material possessions; they have not lost their cultural baggage. “baggage”? you don’t mean that in a negative way, do you?